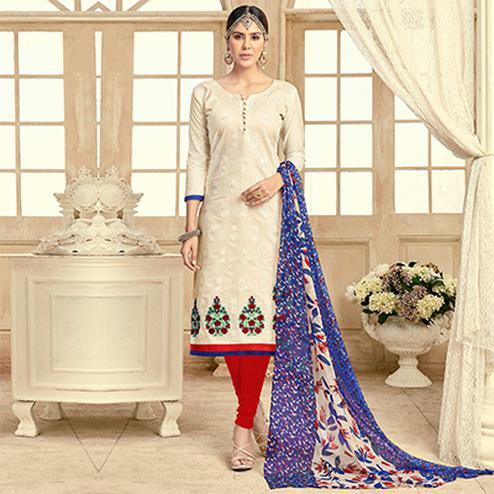 Look more beautiful & ethnic wearing this blue salwar suit in straight cut style. 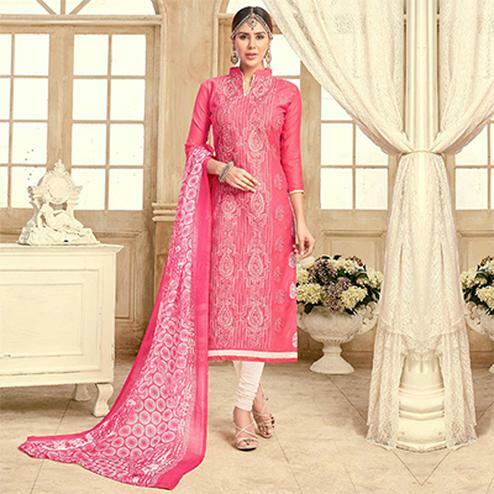 This unstitched suit is beautified with sober embroidery & lace work as shown. The outfit comprises jacquard top contrast color indo cotton bottom and shaded color chiffon dupatta. Once stitched you can wear it for casual outing and social get together.